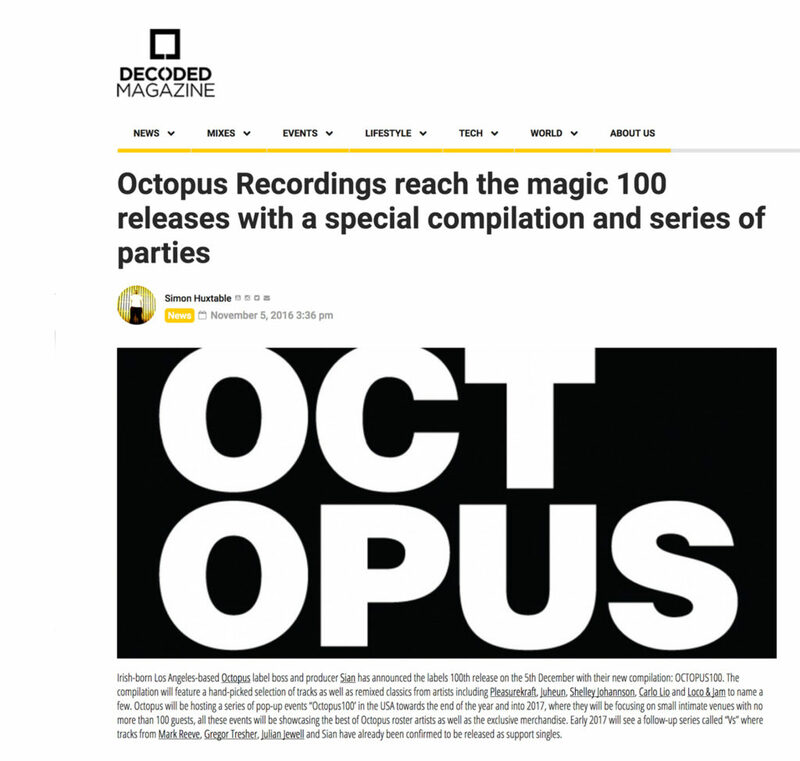 Irish-born Los Angeles-based Octopus label boss and producer Sian has announced the labels 100th release on the 5th December with their new compilation: OCTOPUS100. The compilation will feature a hand-picked selection of tracks as well as remixed classics from artists including Pleasurekraft, Juheun, Shelley Johannson, Carlo Lio and Loco & Jam to name a few. Octopus will be hosting a series of pop-up events “Octopus100’ in the USA towards the end of the year and into 2017, where they will be focusing on small intimate venues with no more than 100 guests, all these events will be showcasing the best of Octopus roster artists as well as the exclusive merchandise. Early 2017 will see a follow-up series called “Vs” where tracks from Mark Reeve, Gregor Tresher, Julian Jewell and Sian have already been confirmed to be released as support singles.